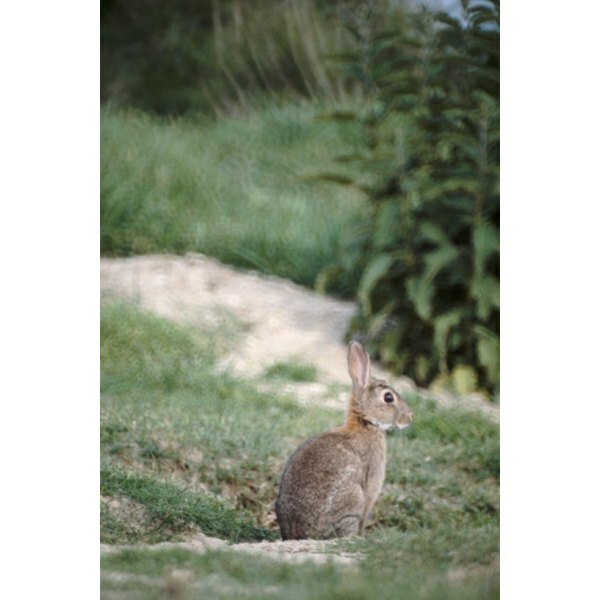 Wild rabbits are plentiful in nature, even overpopulated in many places around the globe. Because of their large numbers it makes sense that some hunters would like to put the rabbit meat to use rather than letting it go to waste. But even though wild rabbit meat may be tasty hunters and those who eat the meat need to take precautions before coming into contact with a recently killed rabbit or uncooked meat as a vast majority of wild rabbits carry a disease called Tularemia which can be passed onto humans. People hunt wild rabbits for a multitude of reasons. Often times these animals are viewed as being pest who feed on the produce in people’s gardens or farms, therefore some humans will try to rid the animals by way of killing in order to keep their crops from being disturbed. This is a major issue in some areas of the world where the rabbit population is exceedingly high and causing damage to the ecosystem. Another reason why people hunt rabbits is for their meat which is known to be a lean delicious source of protein. In some areas of the world the rabbit population has grown out of control due the rate in which rabbits breed. Countries like Australia, New Zealand and England have all had to deal with an overwhelming wild rabbit population. In order to quell the continually growing population size the respective governments at times have opened up hunting and utilized the release of viruses upon the rabbit populace that has had great effect in suppressing their numbers. The Viruses typically used are myxomatosis and calicivirus, neither of which affects humans. Francisella tularensis (Tularemia or Rabbit Fever) is a naturally occurring disease carried by wild rabbits and the insects which feed on them such as deerflies and ticks. People are at risk of catching this illness by way of skinning and/or eating contaminated rabbits or by being bitten by infected insects. Symptoms of infection such as aches, fever and chills typically will present themselves two to ten days after exposure. Those most at risk for contracting this disease are those who handle wild rabbits, but the illness is easily treated with antibiotics. Care should be taken when venturing into a habitat of infected rabbits as well as handling and/or eating wild rabbits. If visiting a wild rabbit habitat make sure to wear clothes and insect repellant that will protect your skin from possible bites from infected deerflies and ticks. When hunting remember to wear protective gloves, goggles and make sure any laceration on the skin are covered to minimize contamination through contact with blood. If eating wild rabbit take care to wear protective gloves when preparing the meat for cooking and cook the meat thoroughly to kill any harmful bacteria. Grace Baney began her freelance writing career in 2010. She brings expertise in the areas of relationships, children, education and mental health. Baney received a Bachelor of Arts in child and family development from American Public University.